Edwina: Bride of Connecticut is fifth in the unprecedented 50-book American Mail-Order Brides series. Joshua was a happy bachelor until his scheming sister lands him with a Mail Order Bride. 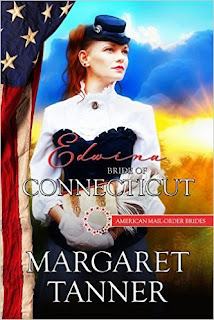 Desperate to Escape Boston, Edwina accepts the marriage proposal she believes has come from him. 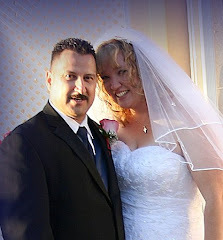 Can a deceived bride, and a reluctant groom, find happiness together? I read this book in one day I could not put it down. I truly wanted to know what happens with Edwina "Eddy" and Joshua especially after the Nessbits get her. The book had me on the edge of my seat when describing her attempt to escape the canyon. I am thoroughly enjoying the series.